Rameau, maître à danser, a performance associating two “actes de ballet” by Jean-Philippe Rameau, La Naissance d’Osiris and Daphnis et Églé. These intimate and rarely given works were composed for the grand spectacles dansed at the Court. 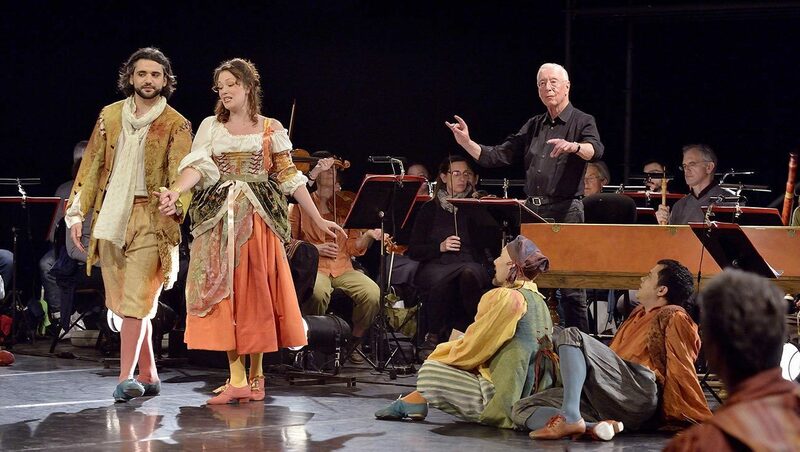 Based on a libretto by Cahuzac, La Naissance d’Osiris was commissioned to celebrate the birth of the Duke of Berry, the future Louis XVI; Rameau went on to use certain passages in his “tragédie lyrique” Zoroastre. Although it was originally destined to liven up the hunting parties at Fontainebleau, Daphnis et Églé is also proof – underneath its frivolity – of Rameau’s artistic genius.